1. Fold Night of Navy cardstock in half. 2. Layer DSP onto Copper Foil; attach to card front. 3. Using Night of Navy ink, stamp sentiment on Whisper White cardstock. 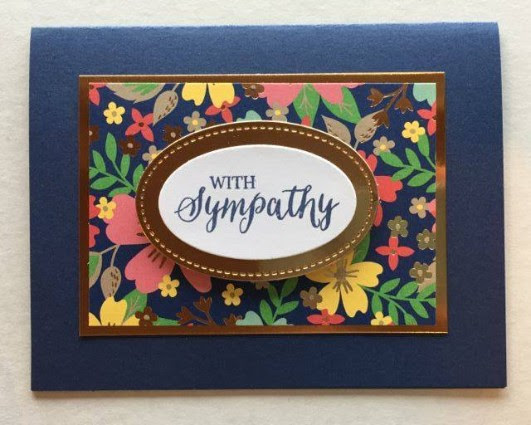 Die cut using Layering Ovals Framelits. 4. Die cut Copper Foil using Layering Ovals Framelits...one size larger than step 3. 5. Layer stamped Whisper White cardstock onto die-cut Copper Foil. 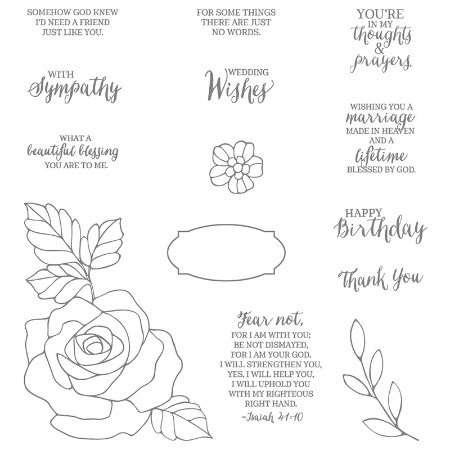 Attach to card front using Stampin' Dimensionals.